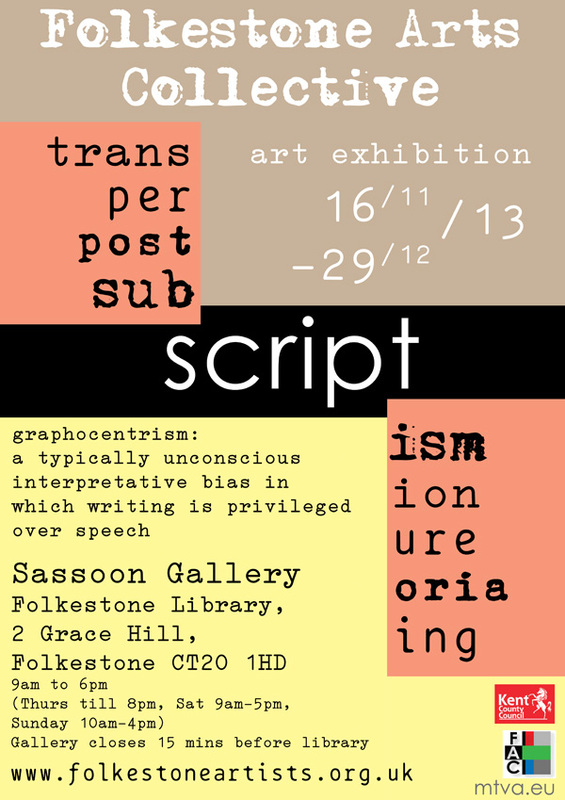 ‘Scriptism’: an exhibition of art work exploring and expressing the idea of written communication. The concept of this exhibition is inspired by the development of recording communication. One of the most important developments of humankind has been the development of writing. Writing is something that we take for granted, but how was this complex process brought into existence? The invention of writing happened over thousands of years in independent ways, in different parts of the world, yet it followed the same fundamental steps. 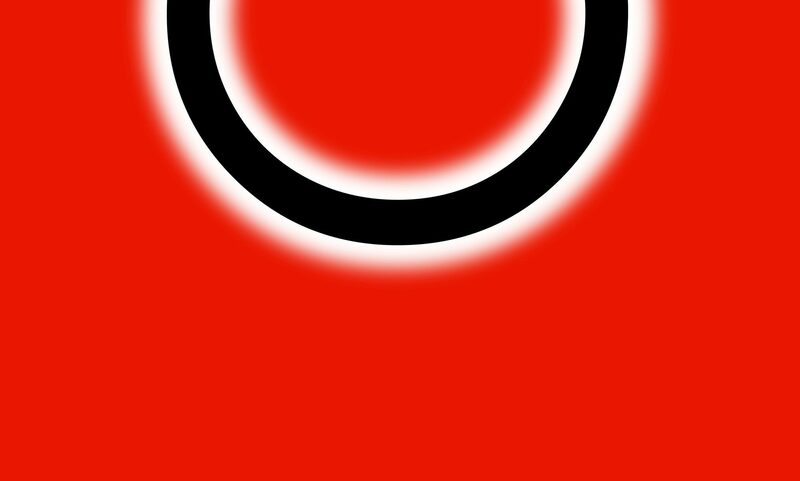 Early in its development, a sign or symbol was used to indicate something. The earliest writing can be traced to Sumer, in Mesopotamia. This system did not use an alphabet; instead it used symbols representing familiar objects. The prehistoric cave paintings were artistic and realistic representations of primitive man’s world. If the pictures were intended to record an event or to convey a message, they could be considered to be a form of writing. Phonetic methods of writing developed, then syllabic, and alphabet letter forms. This exhibition records our artists’ interpretation of written language, its inventions, and how it is constantly developing. Our exhibition takes place within the Folkestone Book Festival, exploring visual links with texts, books, the festival, and libraries. Artworks are available for sale. Please ask library staff for assistance and to make payment. family member, friend or business client maybe. website for times of the performances and all details). cakes and refreshments available at the hotel. by 30.11.11. Picture hanging on 9.12.11 at 6pm. email facartists@gmail.com or visit website below. 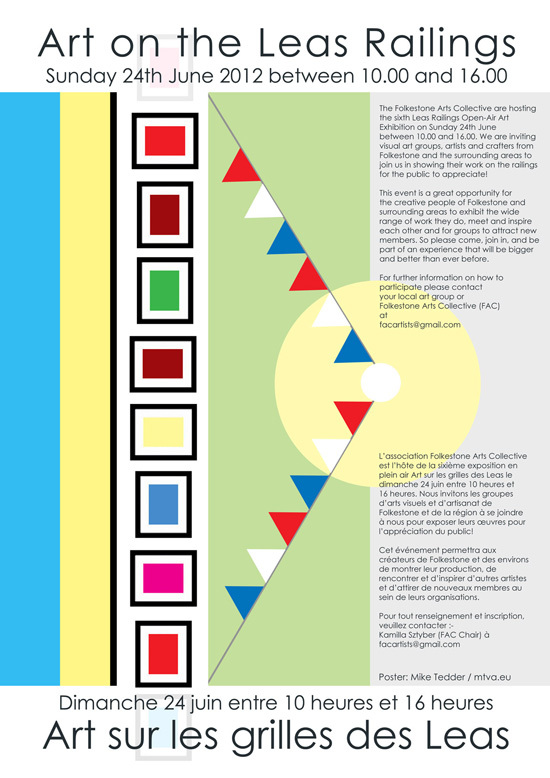 The Folkestone Arts Collective is open to all artists. 13 artists from Deal and the surrounding area throw open the doors of their studios and welcome visitors throughout the weekend. Winter open studios encourages you to follow our circular art trail that begins in Deal and finishes back in Walmer, taking in artists located in Hacklinge, Eastry, Dover and Martin Mill. Last year there were over a thousand pieces along The Leas. This year the exhibitions co insides with the beginning of the 2nd Folkestone Triennial, let’s make it bigger, better and more dynamic than before! Come, join in, bring friends, colleagues and be part of an experience. A sculptural installation set on the hilltops between Sugar Loaf Hill and Samphire Hoe that depicts the passage of the sun throughout the day. Sculptures and images of the aliens derived from H.G. Wells “War of the Worlds” created around the town. A star map created by placing star names and images in specific locations, photographing them and mapping their positions. An image of a bar code created on the beach using black and white pebbles collected from the fore shore. 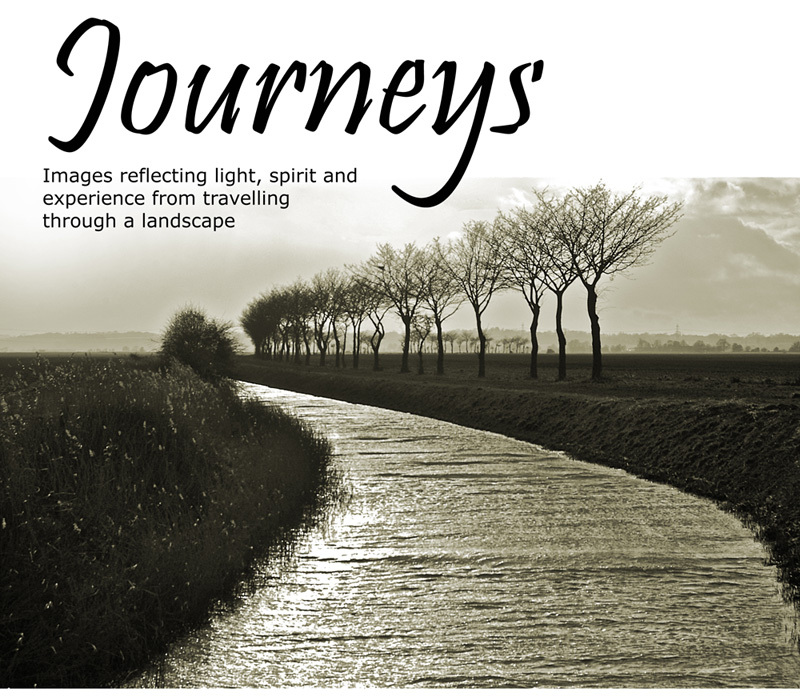 This will be photographed and filmed as it is created and as the tide washes it away. We are looking for members and non-members to get involved with these art projects to make them happen. With the “Infinity – Sunrise/Sunset” and “The Tourist” projects we require arc-welders or sculptors in metalwork. Attached is a picture of the Tripod alien depicted in “War of The Worlds” and how it could look in Folkestone. It is hoped that the HG Wells Festival might take this onboard and the organisers are being contacted. A 23 foot tripod sculpture was erected in 1988 in Woking where HG Wells is said to have lived while writing War of the Worlds. HG Wells did live in Sandgate as well documented and hence the HG Wells Festival in Folkestone.